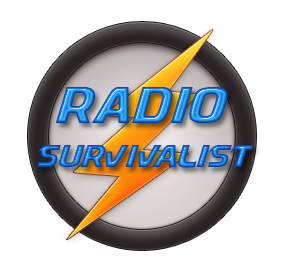 Can I Use A CB Radio For Survivalist & Prepper Use? 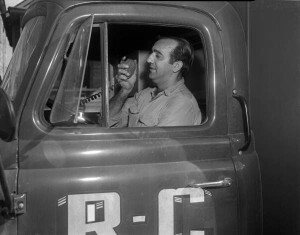 Home › Radio Articles › Can I Use A CB Radio? Citizen’s Band or CB is a radio that most people are familiar with and likely already have one if they do much camping and hiking . The CB radio is easy to purchase, you don’t need a license to operate it and antennas are fairly small and easy find. So with all of these goods points you just know there are some bad points so here they go. Remember, sometimes it’s best to go analogue in a digital world. Most CB radios are AM (amplitude modulated) making them more susceptible to atmospheric noise. AM radios such as CBs are also easy to jam (block) thereby rendering them pretty much useless. Note that there are CB radios that also have SSB (single side band) modulation and these radios are generally more expensive than simple AM CBs. CB radios have a low power output running in the 4 to 15 watt range. This is fine for mobile operation where vehicles are within a few miles of each other. Using a CB with a base station antenna helps it considerably but there are still times when the low output power will be detrimental. The range which CB radios can cover are pretty well at the mercy of the environment. Amateur (or ham) radios have the capability to allow the operator to switch to other open bands while a CB is rockbound to 11 meter band. A full-featured amateur transceivers will have various bands available which will allow the operator to switch to any of the other bands should the one their are currently using become unusable because of the RF conditions of the atmosphere. For an example, you’ve bee working DX all over Europe on the 20 meter band for most of the day and the band begins to exhibit QSB (fading of the signal strength). You simply change bands over to one that is more conducive to night time communications such as the 40 through 160 meter bands which exhibit characteristics making them more attractive for long and short distance communications during the night time and early morning hours. All that being said should one refrain from the use of a CB for survivalist situations? Absolutely not! You might even consider adding a CB radio to your current communications gear if you don’t already have one. When the going gets rough you just can’t have too many radios, so it could be a wise choice to add a CB radio on board. One thing about ham radios, especially those featured on these pages is that they have general coverage receivers in them. This feature allows you to listen to the CB band (27mhz) from one end to the other. As for transmitting on 11 meters, you will just have to test the radio first. Be forewarned though that it is against FCC regulations to transmit on CB bands with more than 5 watts 😉 so be careful there.